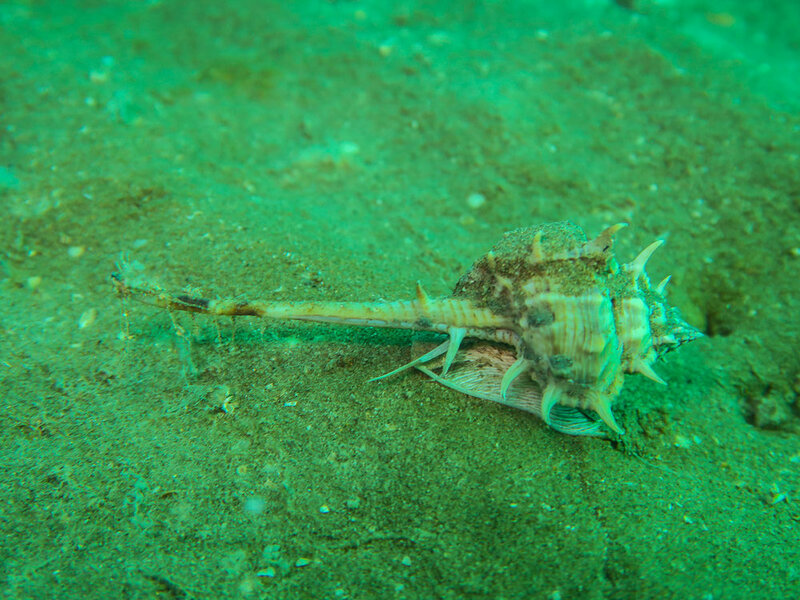 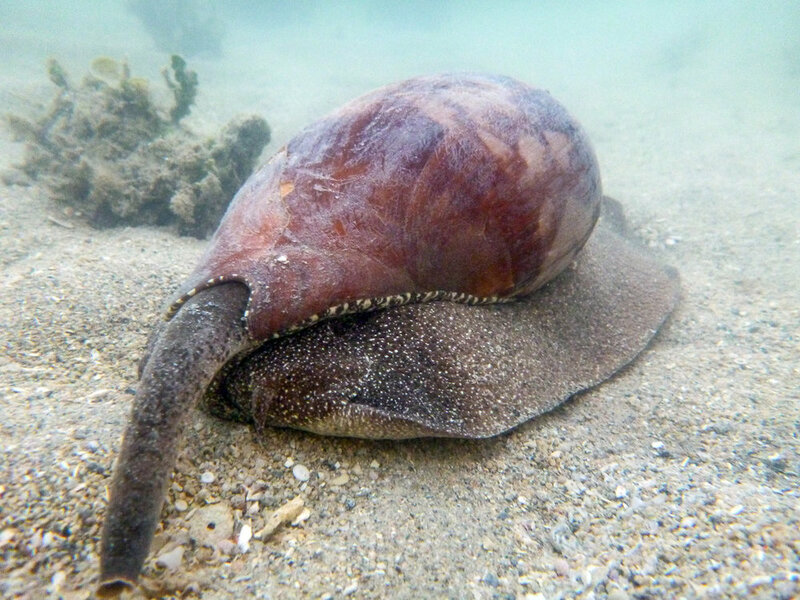 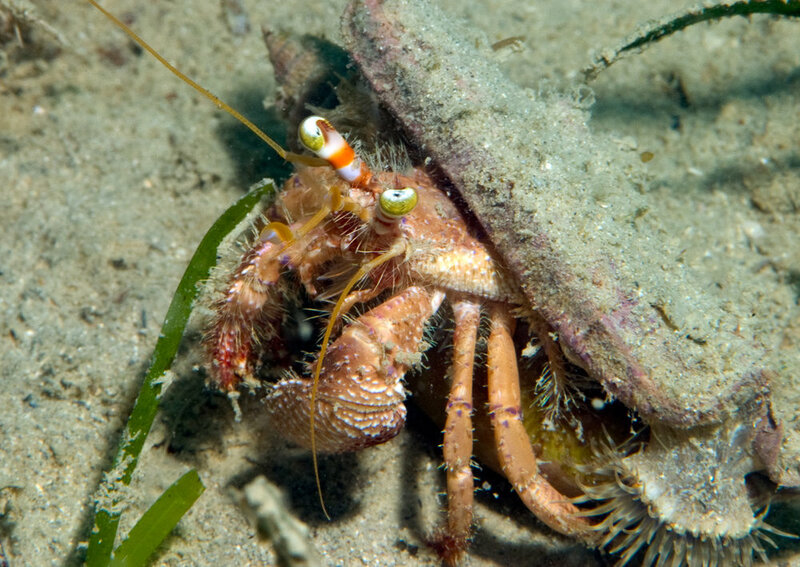 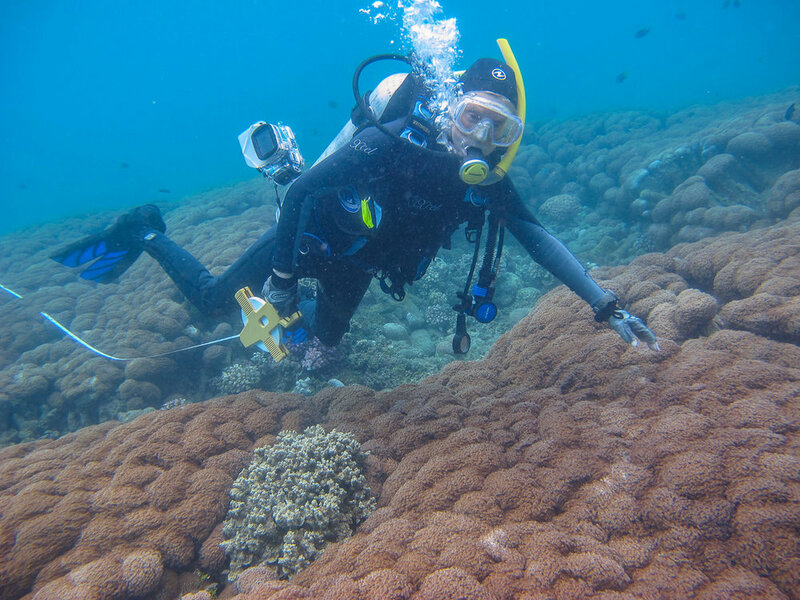 On Saturday 7th July we carried out coral surveys on Camp Island for North Queensland Bulk Ports as part of the Port of Abbott Point ambient monitoring program. 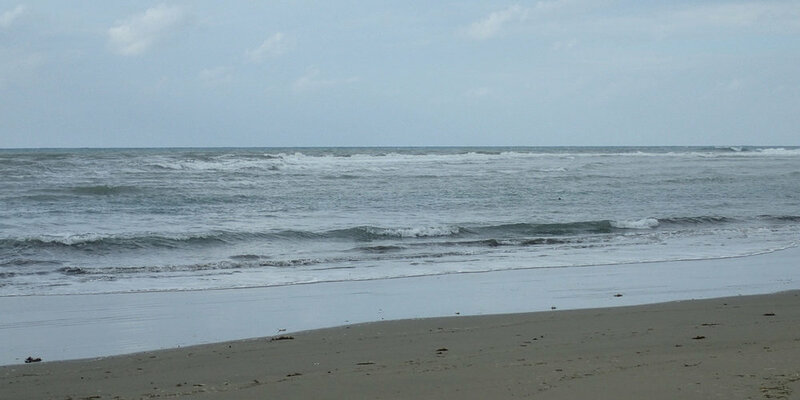 This small island is only a couple of kilometres off the mouth of the Elliot River, just to the south of Cape Upstart. 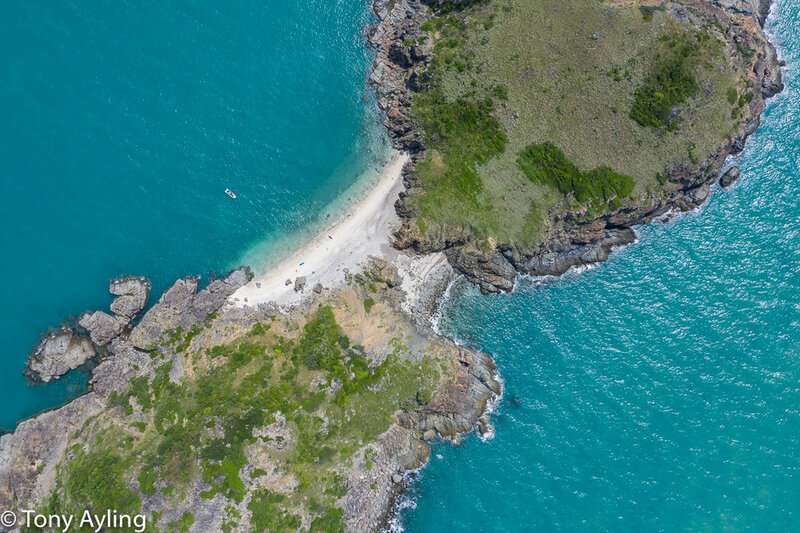 it's about 17 kilometres north of the Abbott Point coal terminal and about 40 kilometres north of Bowen. 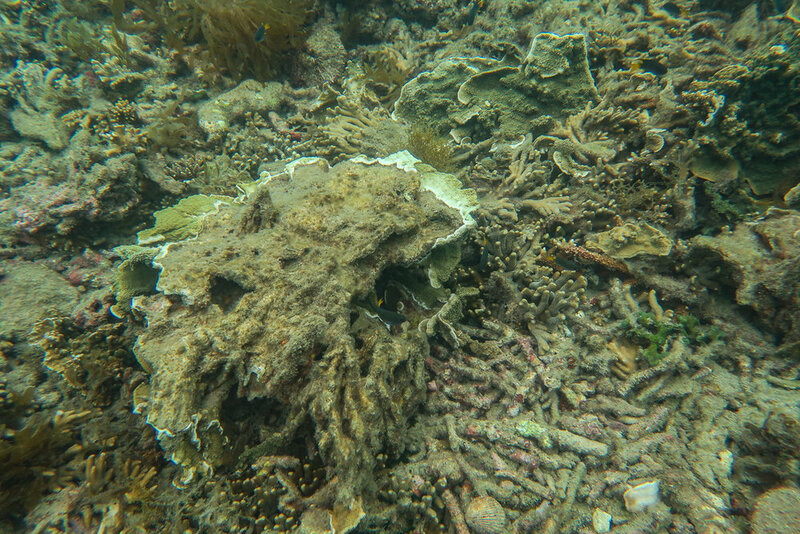 The sea floor slopes very slowly in this area and the island is surrounded by water less than 10m deep. 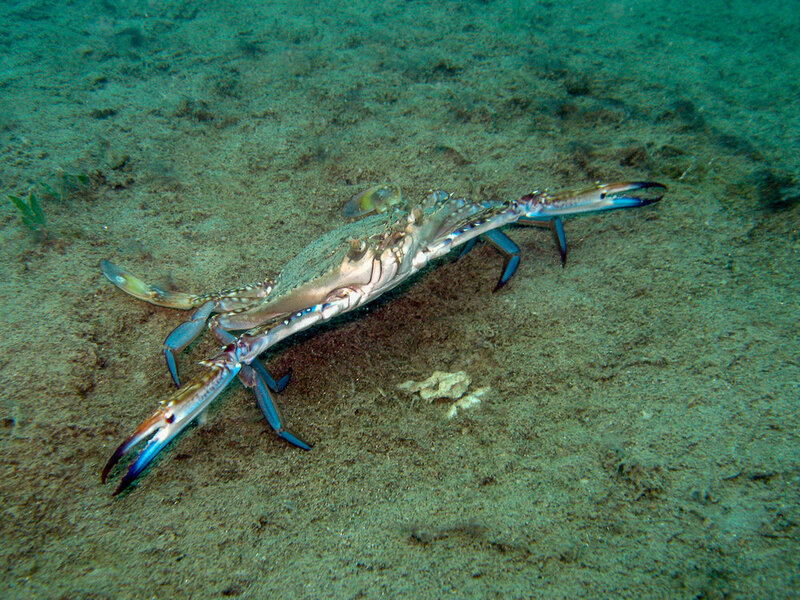 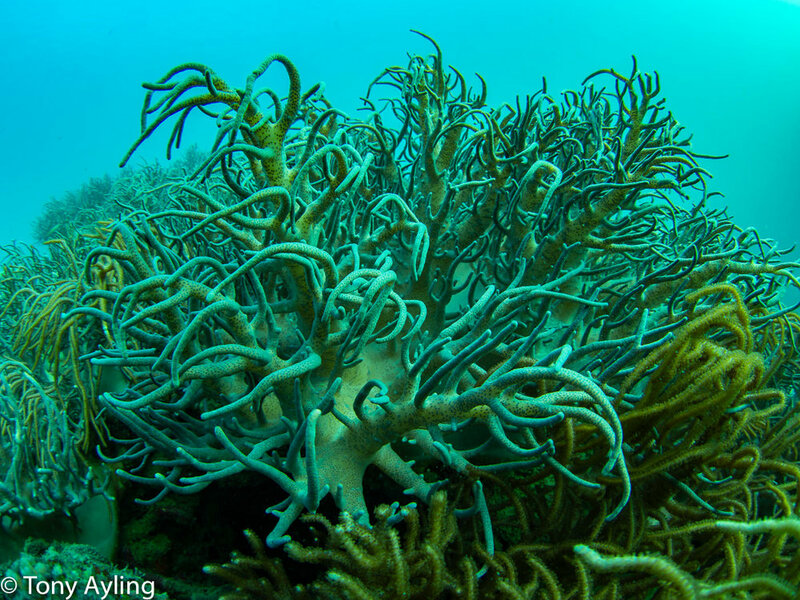 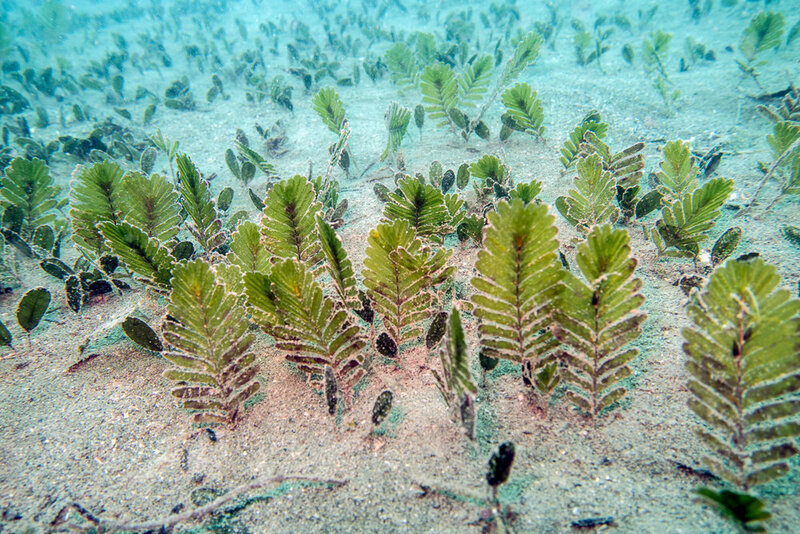 The fringing reefs are even shallower, falling to sand in less than three metres of water. 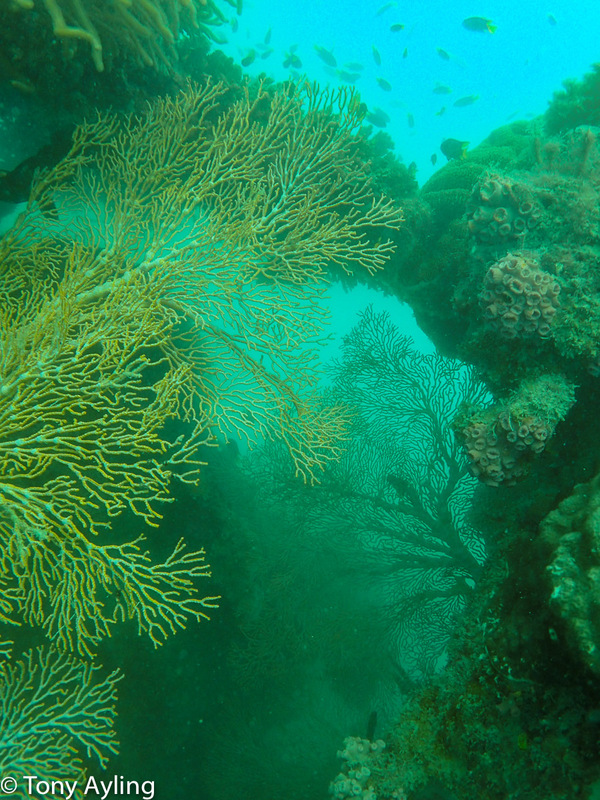 We thought the water would be dirty and the reefs dominated by seaweed but that was not the case. 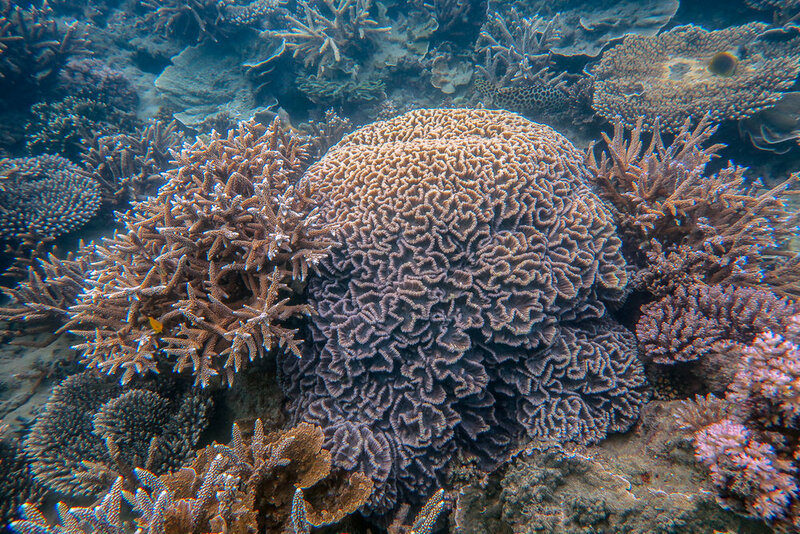 Underwater visibility was around 10m, very good for inshore fringing reefs, and although patchy there were some very rich patches of coral. 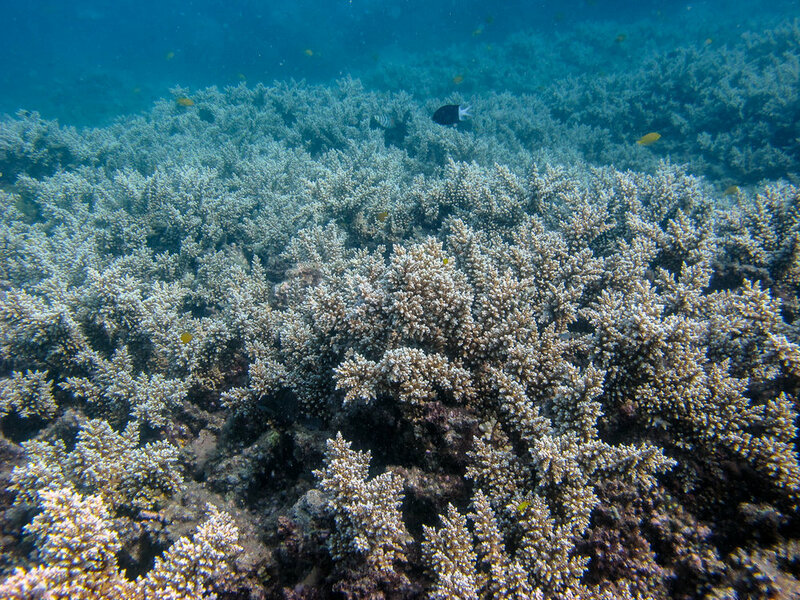 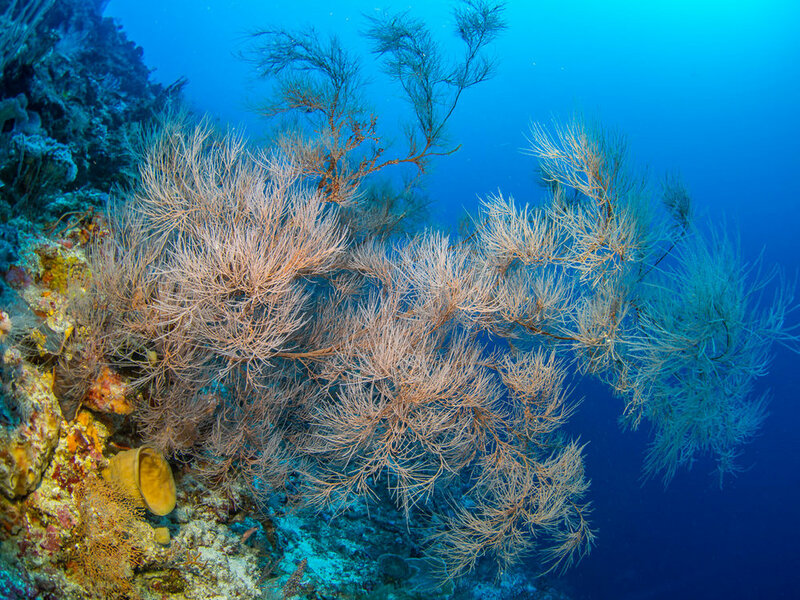 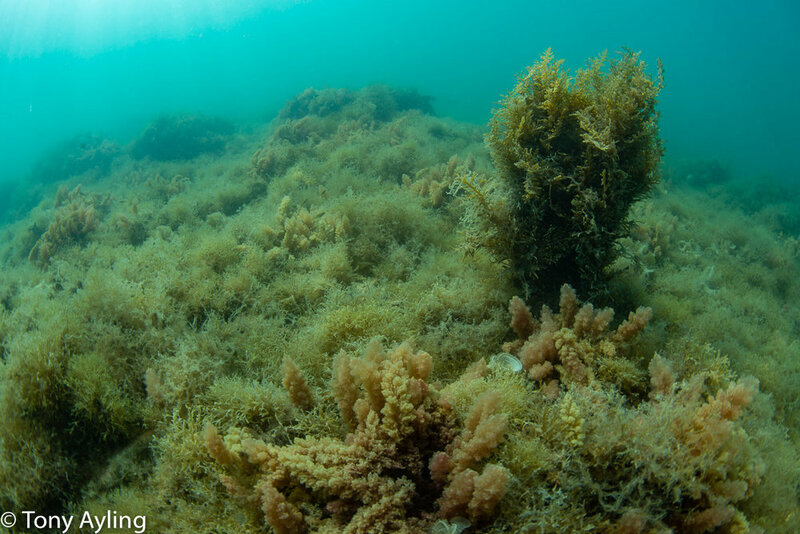 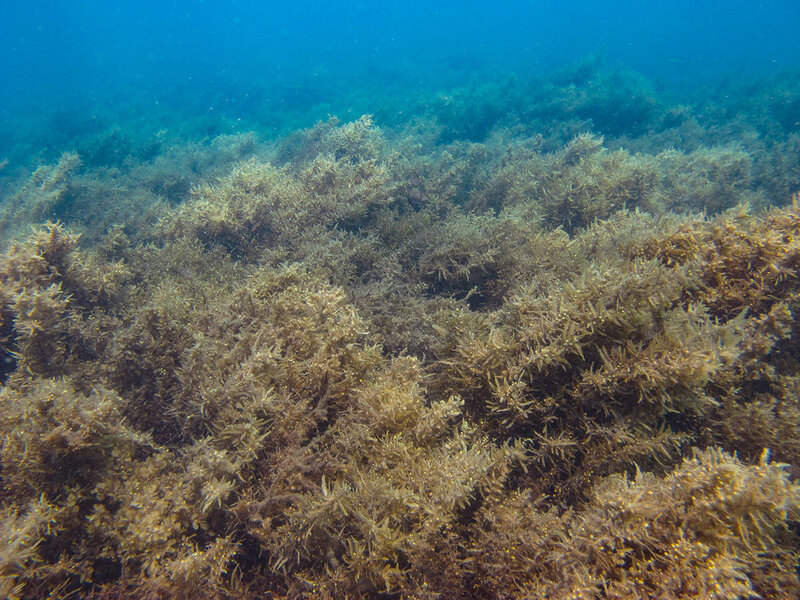 There were patches of reef dominated by Sargassum algae but much of the reef had moderate to good coral cover. 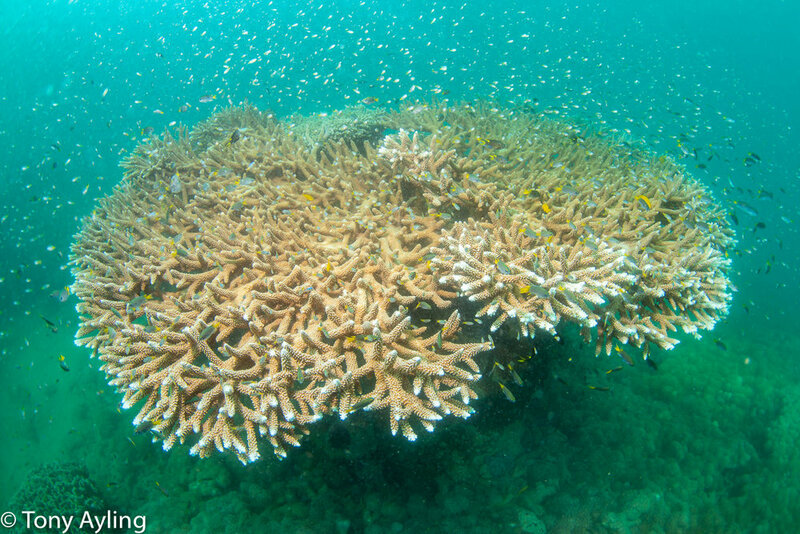 Corals were mostly fast growing Acropora and Montipora species and many were quite colourful. 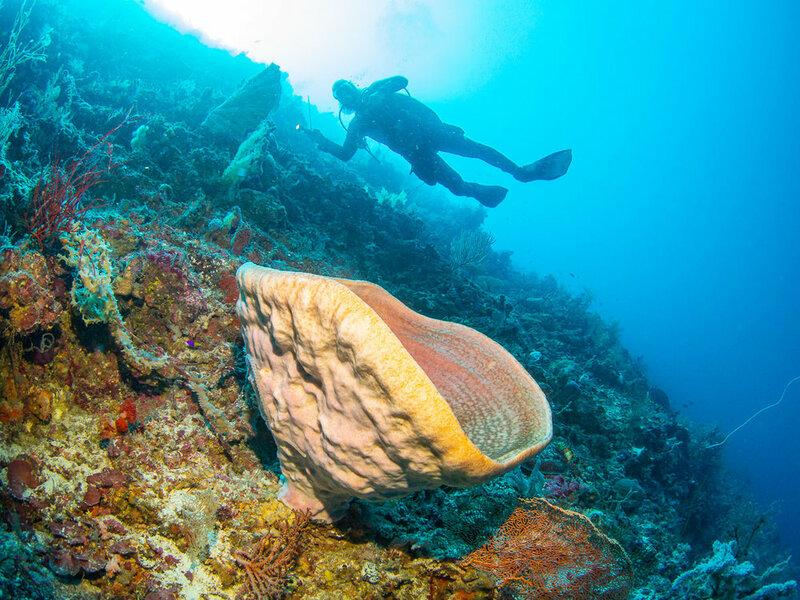 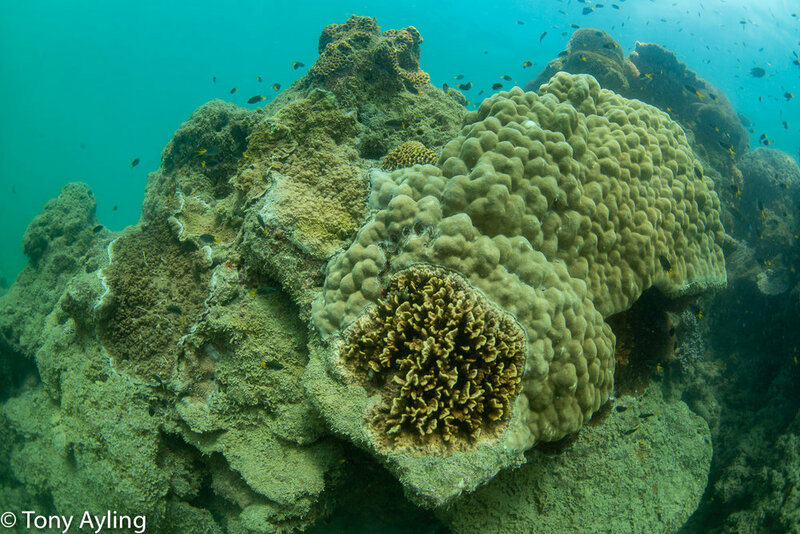 There were also some large coral colonies including Galaxea colonies over two metres across, Porites boulder corals of the same size and large Goniopora colonies. 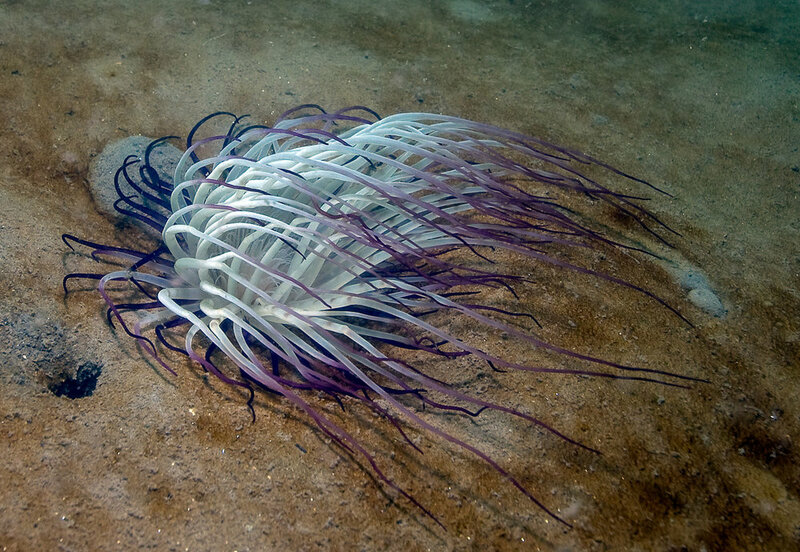 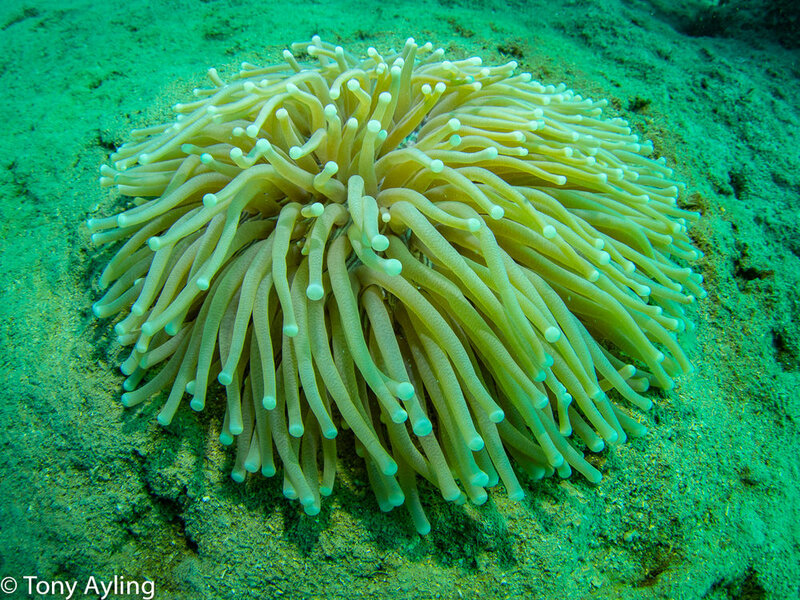 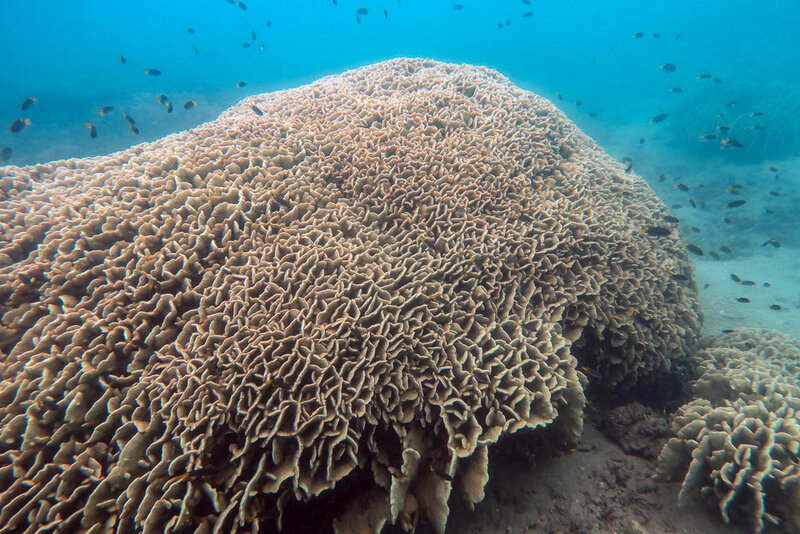 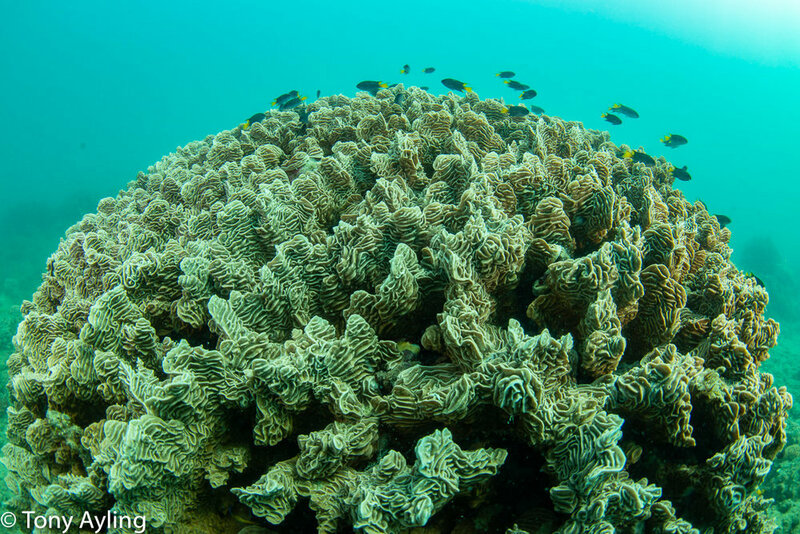 We were surprised to find many large colonies of the coral Pavona decussata, some of them five metres across. 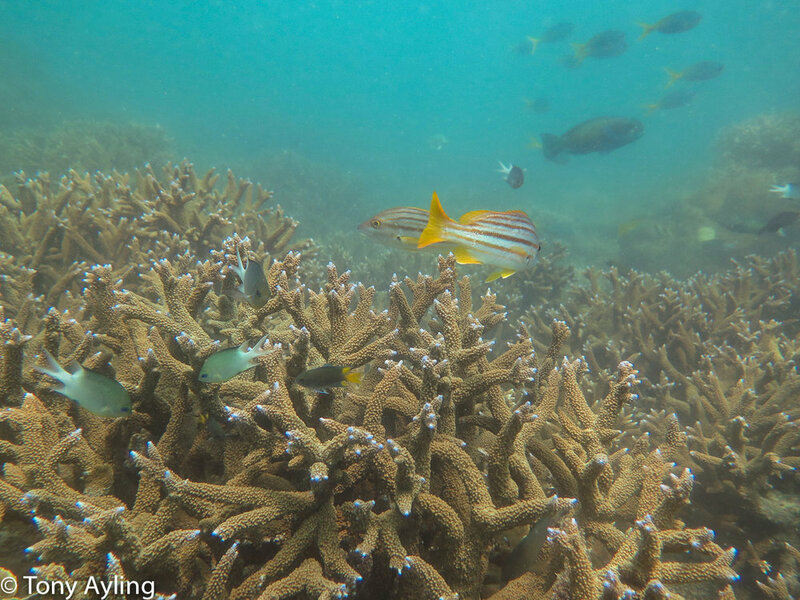 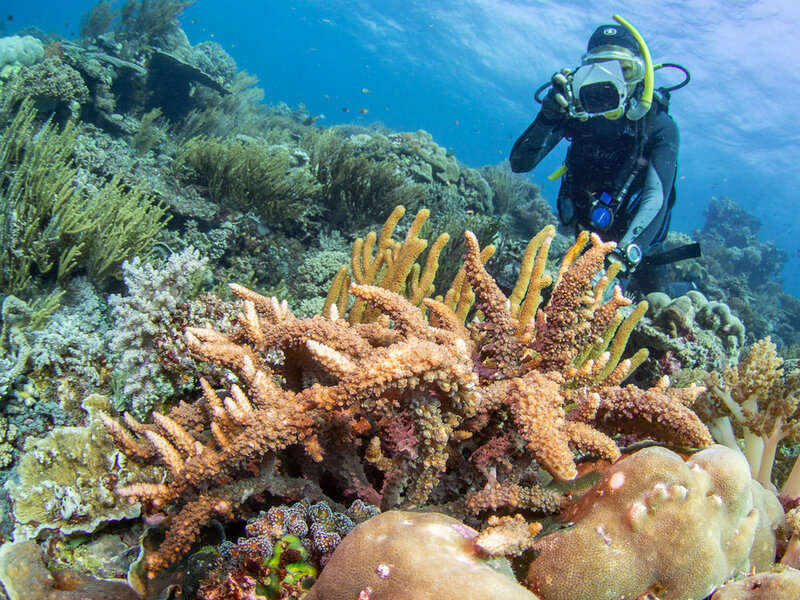 We were surprised that these shallow coral communities had not been badly damaged by Cyclone Debbie. 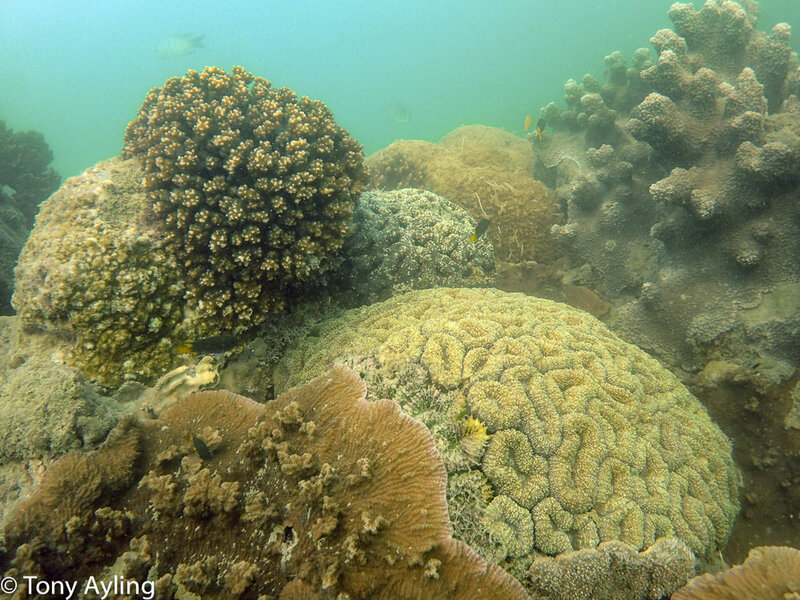 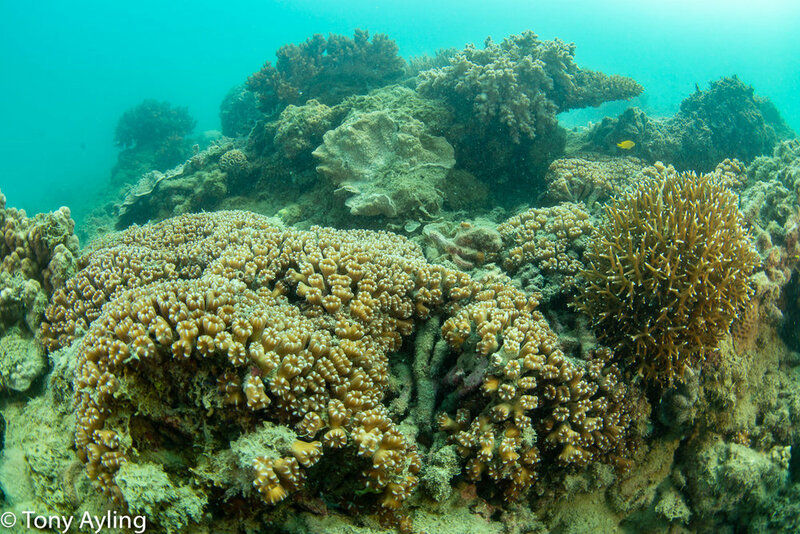 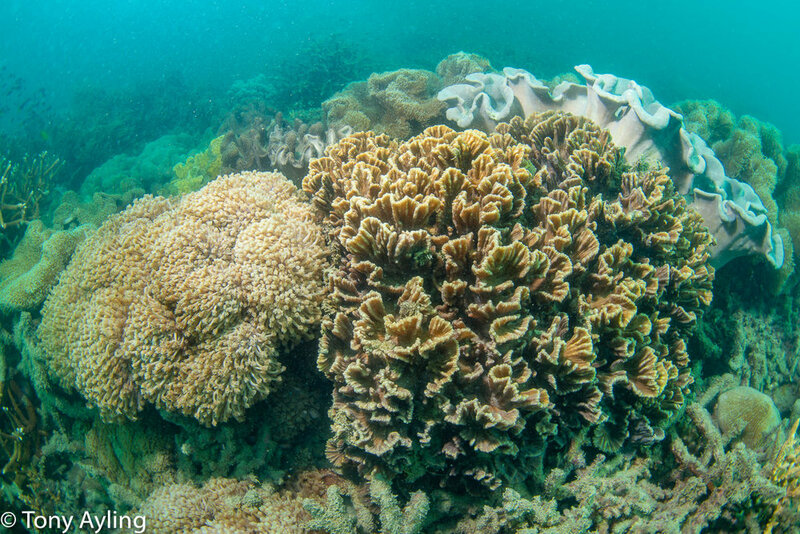 Although there were some corals that had been turned over there was very little coral breakage apparent even though it is only 15 months since the cyclone. 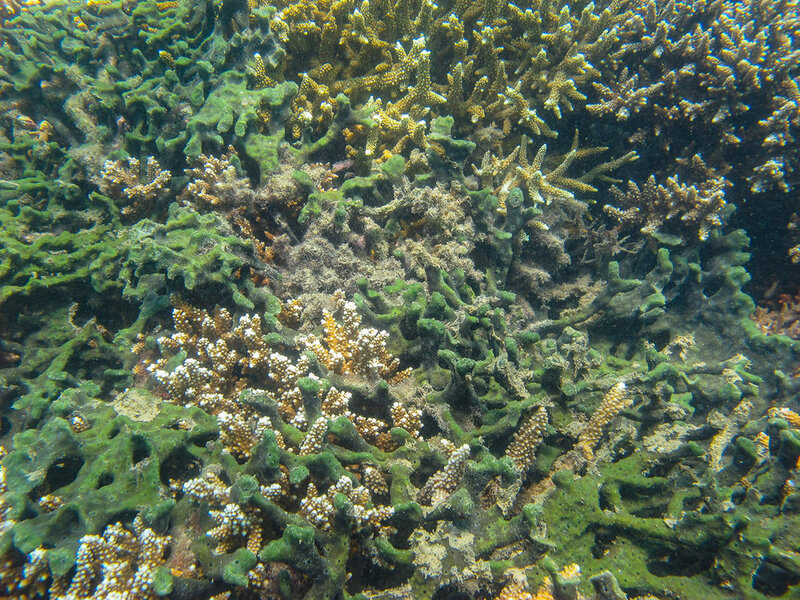 Coral cover in our four sites averaged about 25% but it was much higher in some adjacent parts of the reef. 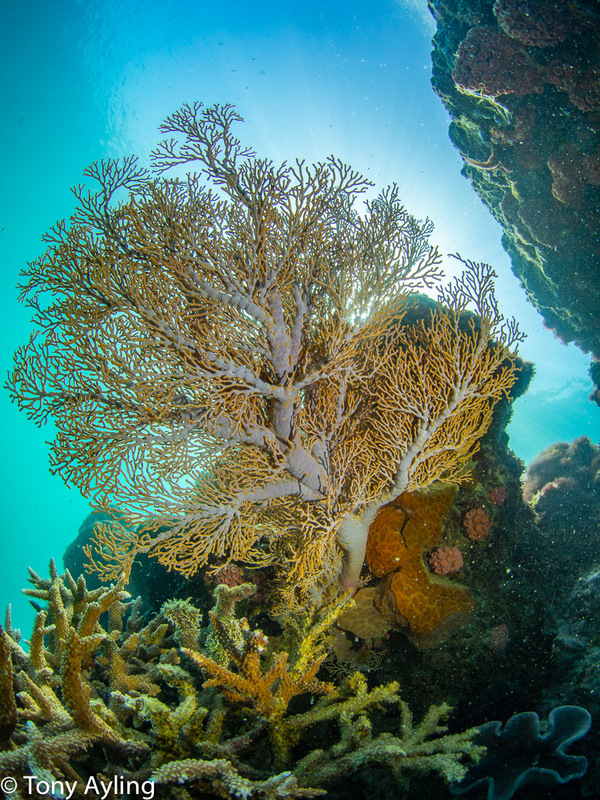 We had another dive on Saddleback Island yesterday, the only local reef that still has good coral after Cyclone Debbie. 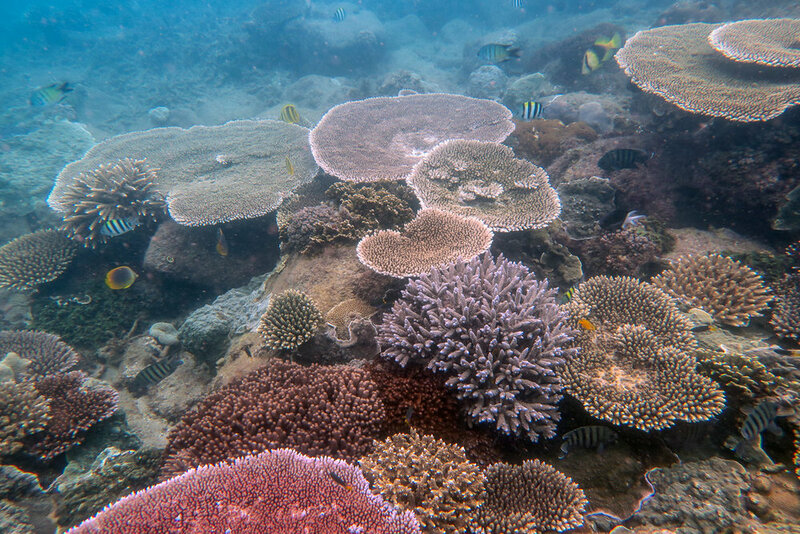 The water was unusually clear with 5 to 8 metres underwater visibility and we were able to better document the surviving corals. 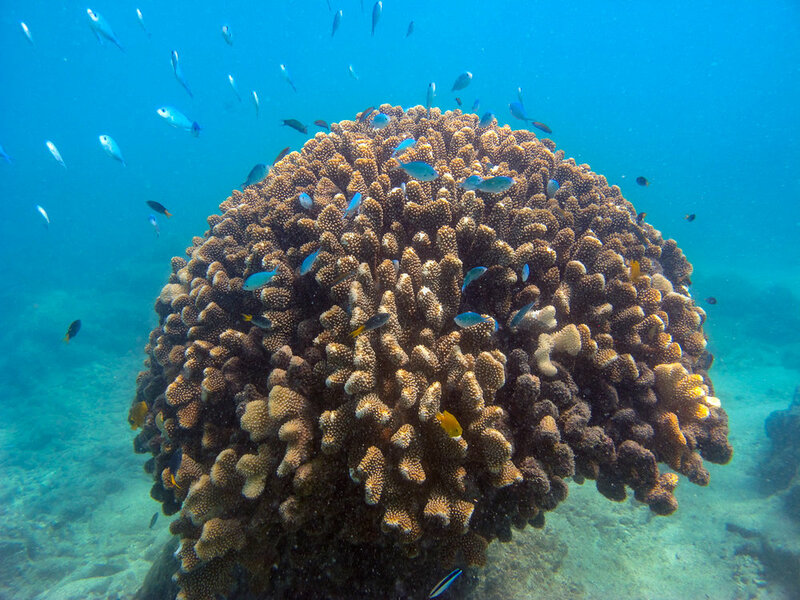 There are many huge coral colonies in this bay including a Porites that is over 8 metres across and Galaxea corals over 5 metres across. 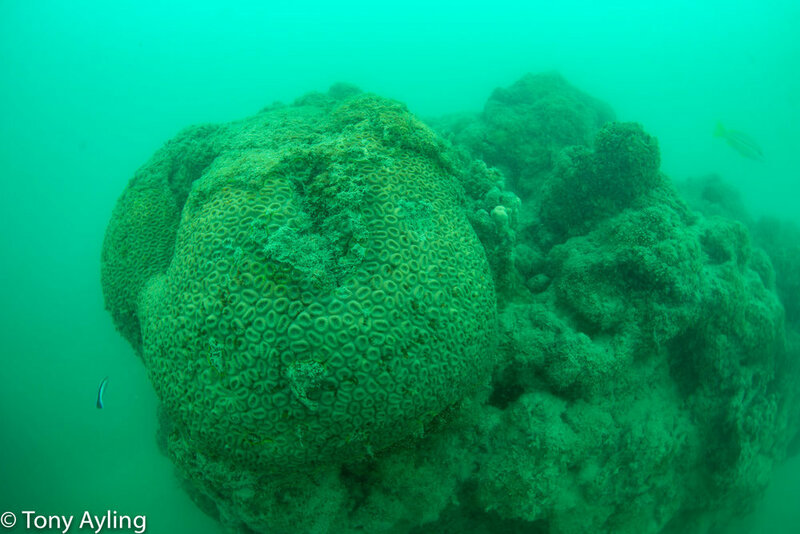 It is always interesting exploring inshore fringing reefs on the Great Barrier Reef and you can never be sure what you will find. 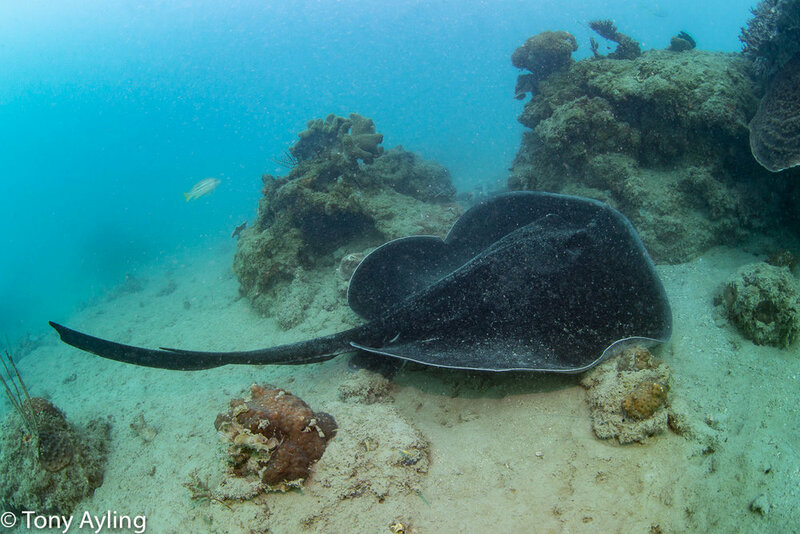 On this dive I came across a huge blotched fantail ray Taeniura mayeni that let me get very close before it moved away. 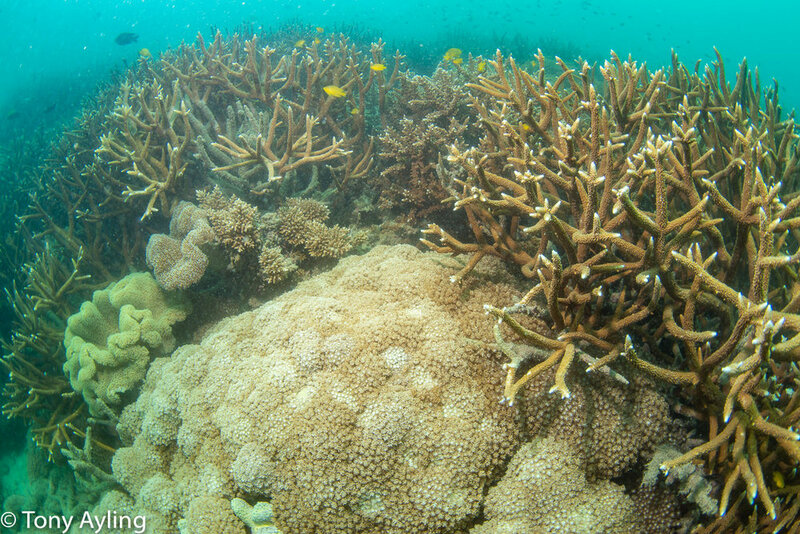 Lobophyllia coral (centre) with a huge Galaxea coral on the right. 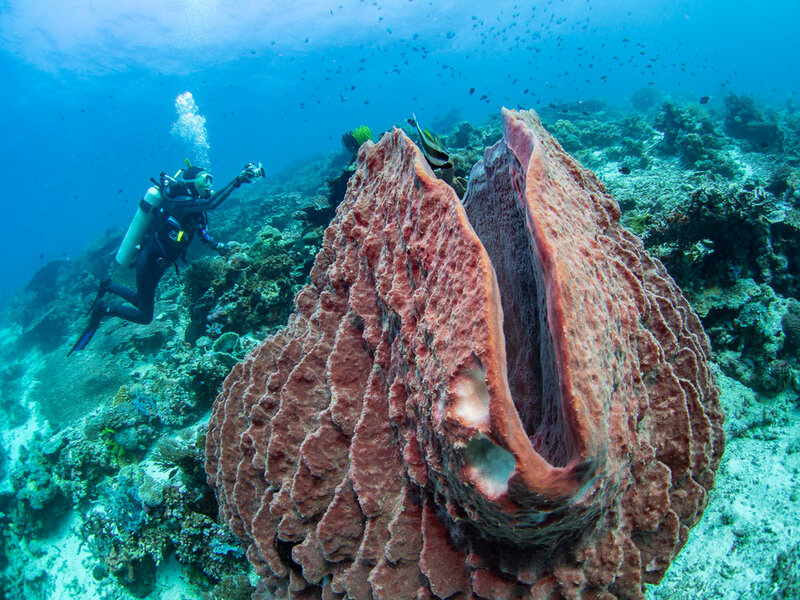 Avril photographs a huge Porites coral. 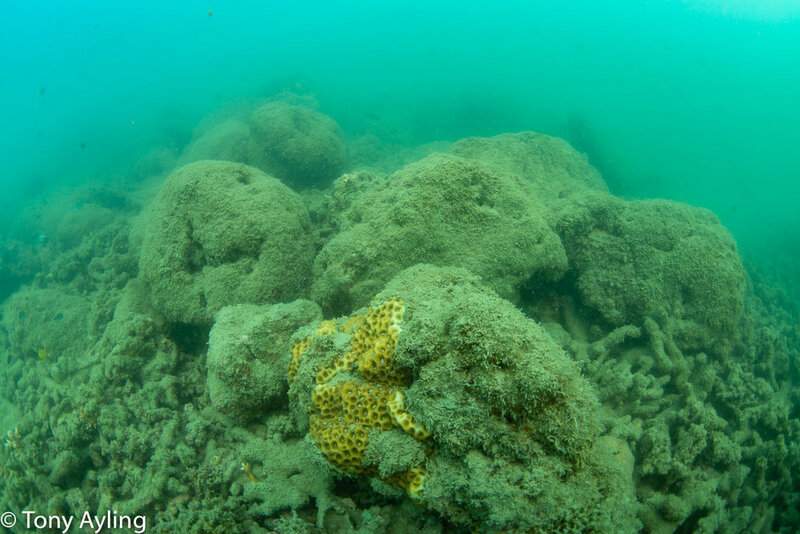 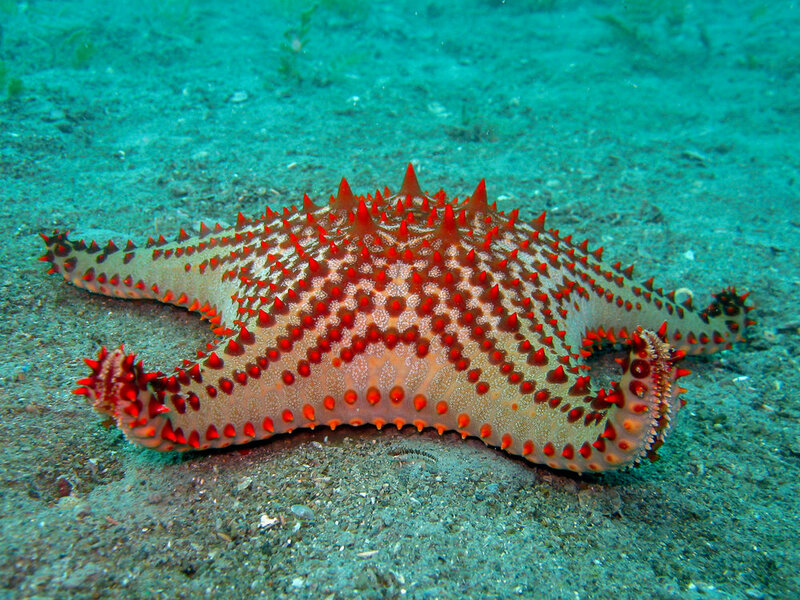 An encrusting Merulina coral with patches of sediment on the surface, a common occurrence on fringing reefs. 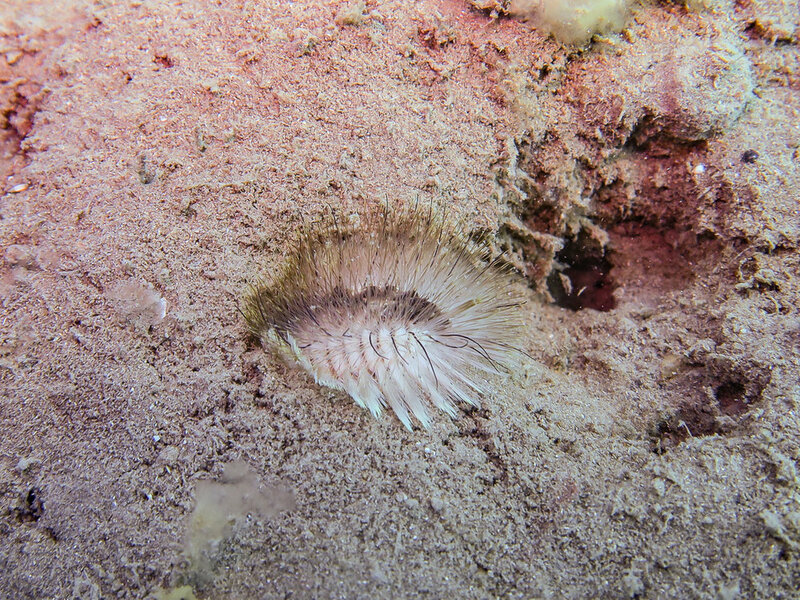 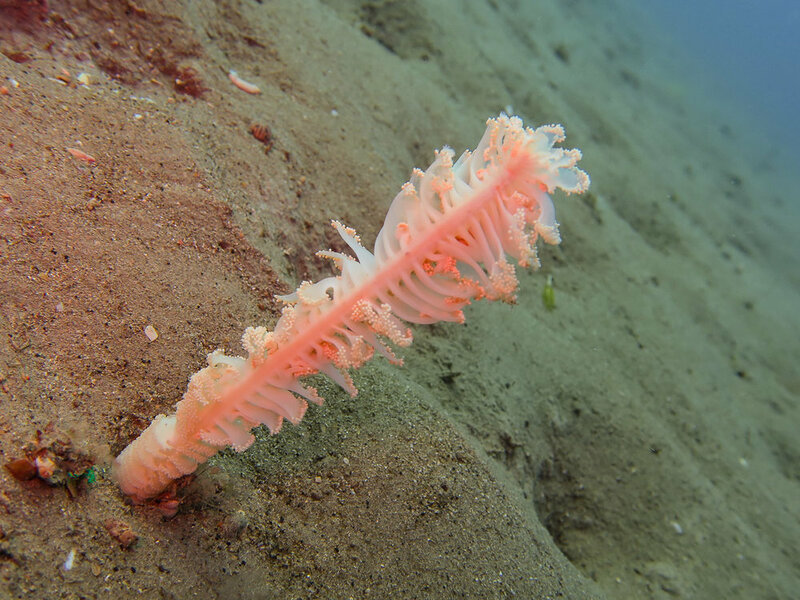 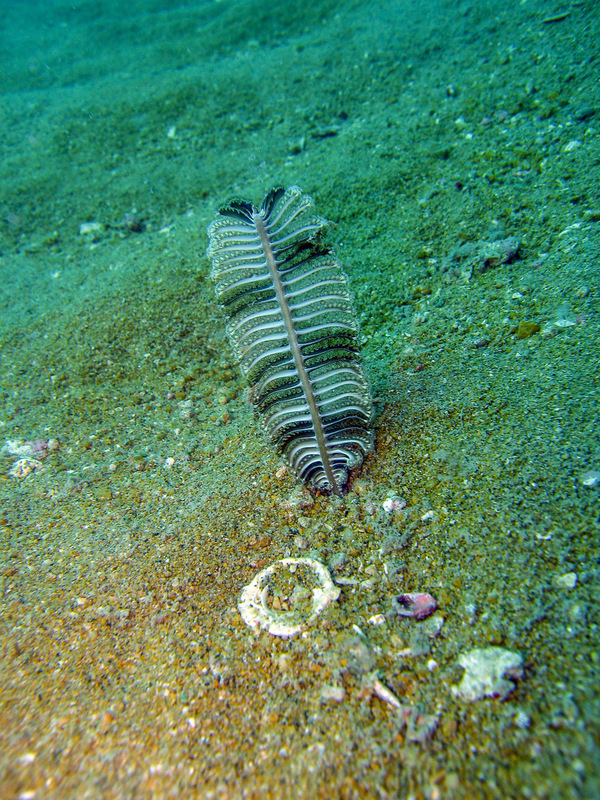 Free-living Heliofungia coral on the sediment bottom. 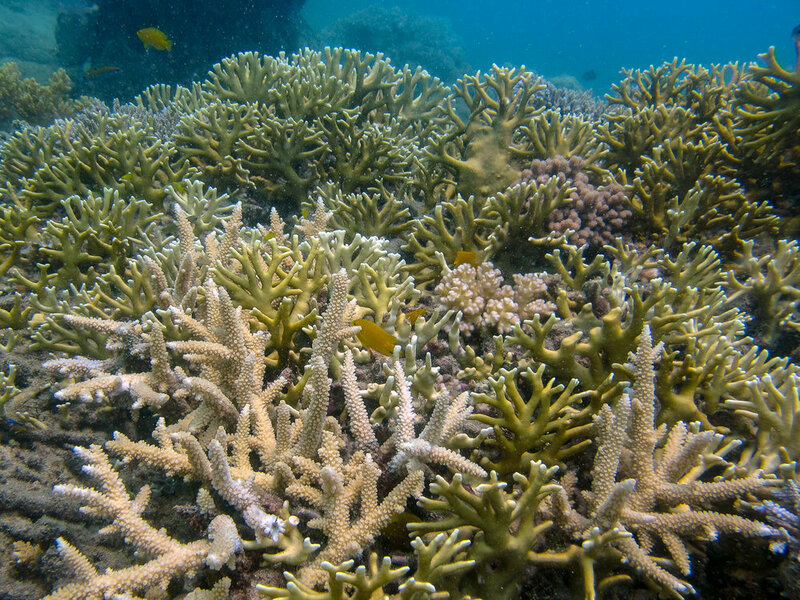 Rich Acropora staghorn thicket in shallow water. 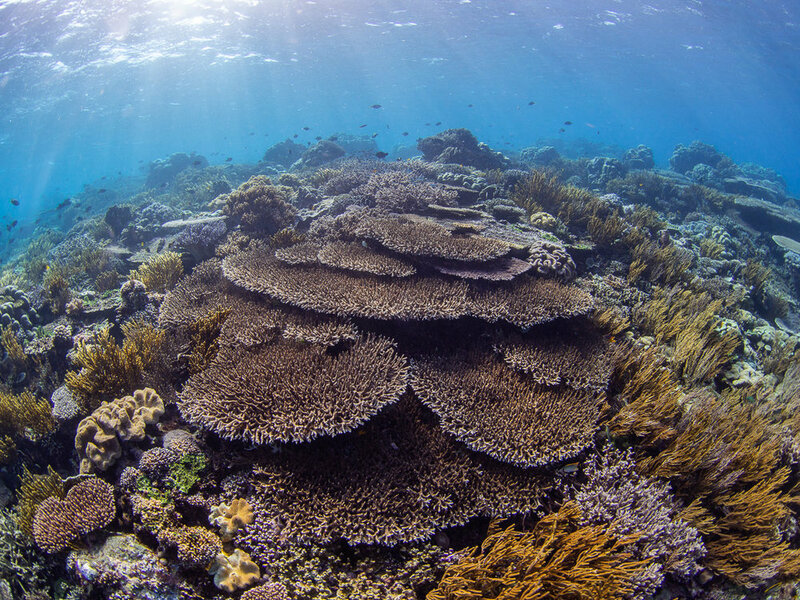 This Porites colony is more than 8 metres across.